James Rodriguez began his career with Envigado, the club blacklisted over alleged drug links. It’s all over at the Maracana. Colombia have reached the World Cup quarter-finals for the first time in their history after a 2-0 win over Uruguay. James Rodriguez scored both goals, a remarkable individual volley and a brilliant team effort. The Colombia bandwagon rolls on. Brazil await in Fortaleza on Friday. Another goal for Rodriguez! A sweeping move from Colombia, Cuadrado headed Armero’s cross back across goal and Rodriguez fired home for his fifth goal of the tournament. An uneventful first half-hour was lit up by an extraordinary goal by James Rodriguez. Surely, we won’t witness a better goal at this World Cup. Goal of the tournament from, so far, the player of the tournament. Unbelievable strike from James Rodriguez. Chest, turn and volley from 25 yards crashes in off the underside of the bar. Sensational. As expected, Colombia have been the more positive side in the early stages, with James Rodriguez in a central playmaking role behind the main strikers. Juan Cuadrado has been the biggest threat for Colombia and the right winger has already come in for some harsh treatment from the Uruguayans. Uruguay have a back five, with Alvaro Pereira in the right wing-back role. Colombia made wholesale changes for their final group match, against Japan, resting several key players who coach Jose Pekerman has now brought back into the starting line-up to face Uruguay. Strikers Teofilo Gutierrez and Jackson Martinez both start in what looks like a straight 4-4-2 set-up. Playmaker James Rodriguez, who made such an impact as a half-time sub against Japan, is back in the starting eleven. For Uruguay, Diego Forlan starts in place of Luis Suarez. Suarez still appears on the official FIFA teamsheet, alongside the letter N, ‘Not eligible to play’. Brazil win 3-2 on penalties! There are tears among both sets of players after a draining and emotional encounter in Belo Horizonte. Ultimately, Brazil kept their nerve to prevail. 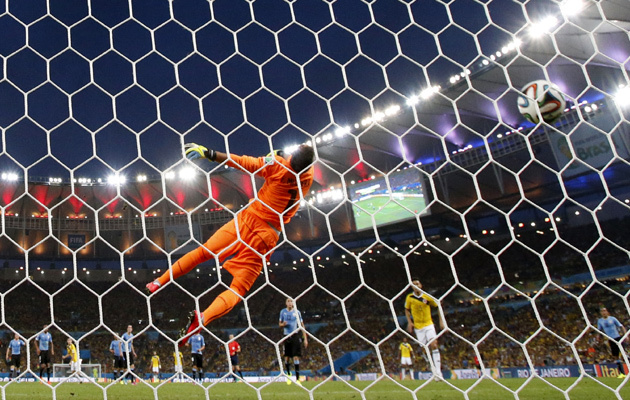 Credit to Julio Cesar who pulled off two great stops in the shootout and to Neymar, who was under huge pressure when he stepped up to take Brazil’s final penalty. Spare a thought for Chile who have contributed so much to this game and to the tournament as a whole. They depart Brazil 2014 with their reputation enhanced. That effort by Pinilla was the final chance of extra time. The match will not be decided by a penalty shootout. Fantastic effort from substitute Mauricio Pinilla whose powerful shot smacks the bar. There are a lot of tired players out there now and barring some calamitous error or a moment of genius, there appears to be an inevitability about the game being decided by penalties. Hulk has been far the brightest of Brazil’s attacking players and he forces a good save from Bravo after cutting infield and firing off a powerful left foot shot. Howard Webb blows for full time and the good news is that we have another 30 minutes to look forward to. The second half followed a similar pattern to the first with Brazil having the better opportunities, but Chile looking threatening on the break. If Brazil are to win, then Neymar, anonymous in the second half, will have to get more involved. In the battle of the Barcelona team-mates, he is being eclipsed by Chile’s Alexis Sanchez. Stunning save by Claudio Bravo. Hulk does brilliantly to slalom into the penalty area before unleashing a venomous shot which Bravo palms away to safety. Jo is on for the ineffective Fred and his first contribution is to fail to make proper contact with an inviting Hulk cross. Chile are almost ahead after a good move down the right. Julio Cesar brilliantly turning Charles Aranguiz’s close-range shot wide for a corner. That’s a huge call by the assistant referee. Hulk collects a long raking pass on his chest before steering the ball past Claudio Bravo. The forward wheels away in celebration only to be confronted by referee Howard Webb brandishing a yellow card. It’s been a frenetic first half played at breathtaking pace with plenty of chances, the majority of them falling to Brazil. It’s not all been one-way traffic though and Chile pose a huge threat on the counter-attack. Chile break forward through Alexis Sanchez and are nearly ahead. The Barceona man plays in Charles Aranguiz, who is denied by Brazil’s defence and goalkeeper Julio Cesar. Brazil go close again. First Oscar’s Neymar inside the penalty area but after he loses possession the ball drops to Fred, who blazes over from close range. Brazil almost regain their lead after a fine passing move down the right. Oscar, who has been quiet until now, floats a lovely cross towards Neymar and his goalbound header is deflected for a corner by Francisco Silva’s shoulder. Brazil make a mess of a throw-in near their own corner flag. Eduardo Vargas nips in to steal possession and squares the ball to Alexis Sanchez, and he strokes the ball past Julio Cesar. Game on! Brazil go ahead at a set piece. The corner is swung over and flicked on at the near post by Thiago Silva to David Luiz, who hooks the ball in from close range. Hulk burst forward and plays a one-two with Neymar before tumbling under the challenge of Mauricio Isla. Brazil think it should be a penalty but referee Howard Webb waves play on. 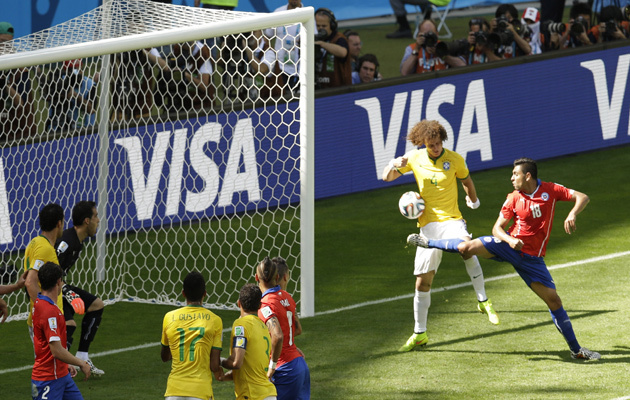 It certainly seemed more of a penalty than the one awarded to Brazil in their opening match. Luiz Felipe Scolari chooses Fernandinho instead of Paulinho as the holding midfielder in his starting XI. David Luiz has overcome a slight back injury and starts. Chile defender Gary Medel starts after recovering from a muscle strain, while attacking midfielder Arturo Vidal returns to the starting line-up having been rested for the defeat against Holland. Brazil: Julio Cesar, Alves, Silva, Luiz, Fernandinho, Marcelo, Hulk, Fred, Neymar, Oscar, Gustavo. Chile: Bravo, Mena, Isla, Silva, Sanchez, Vidal, Vargas, Medel, Jara, Aranguiz, Dias. “I lost my balance, making my body unstable and falling on top of my opponent. Luis Suarez explains how his teeth came into contact with Giorgio Chiellini’s shoulder. As explanations go, that one is right up there with ‘the dog ate my homework’. Against all expectation this is shaping up to be a memorable World Cup. 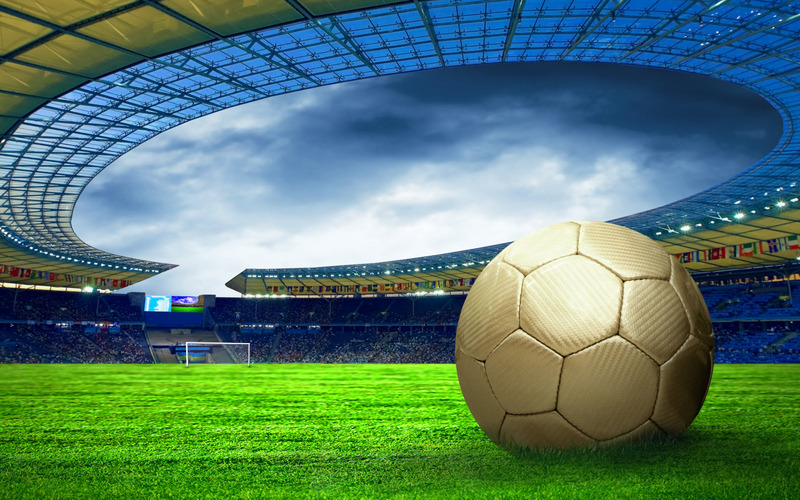 Brazil, as it confidently predicted, has put on the party the world was hoping for – but daren’t not expect – and the footballers have played their part in what is rapidly becoming a World Cup for the ages. No surprise then, as Keir Radnedge reports, that Brazil, and indeed FIFA, are feeling pretty pleased with life at the moment. 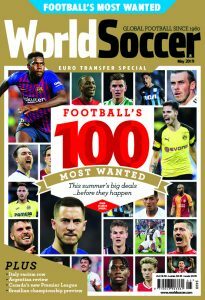 World Soccer editor Gavin Hamilton has been following the tournament from Brazil. Here’s his appraisal of the group stages. After a 24 hour break the football returns with the first two knockout matches, and what couple of appetising games to look forward to. Both are all-South American affairs with hosts Brazil taking on Chile, while Colombia face a Uruguay side still reeling from the 4-month ban issued to Luis Suarez.